I read law at Oxford before working in investment banking in the City. I am married to Ian, who is the First Civil Service Commissioner and we have four sons, three working in consulting and one a professional footballer. For many years, I worked for the Citizen’s Advice Bureau before being ordained in Chester Cathedral. I am currently Rector of Tarporley Parish in the Diocese of Chester which includes oversight of three churches, four listed buildings and involvement with four schools and our local War Memorial Hospital. 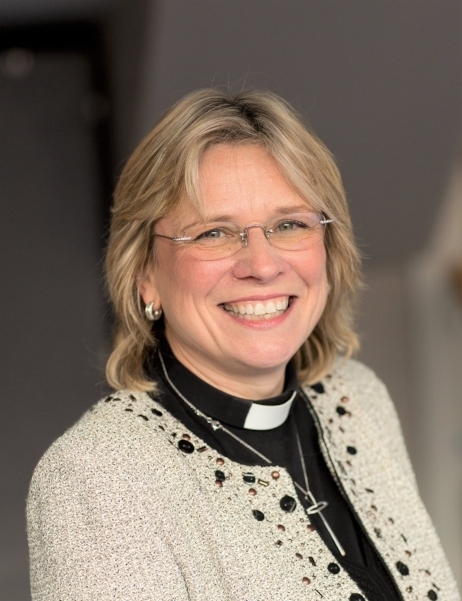 I am honoured to have been asked to act as Chaplain to High Sheriff Alexis and am very much looking forward to helping her as we meet new people and see, support and encourage, at first hand, just some of the many activities, events and work that are continually happening in our county to help those in need, foster creativity and learning, and build community.